Just because your family is taking a vacation this summer, doesn’t mean your oral health and wellness should! 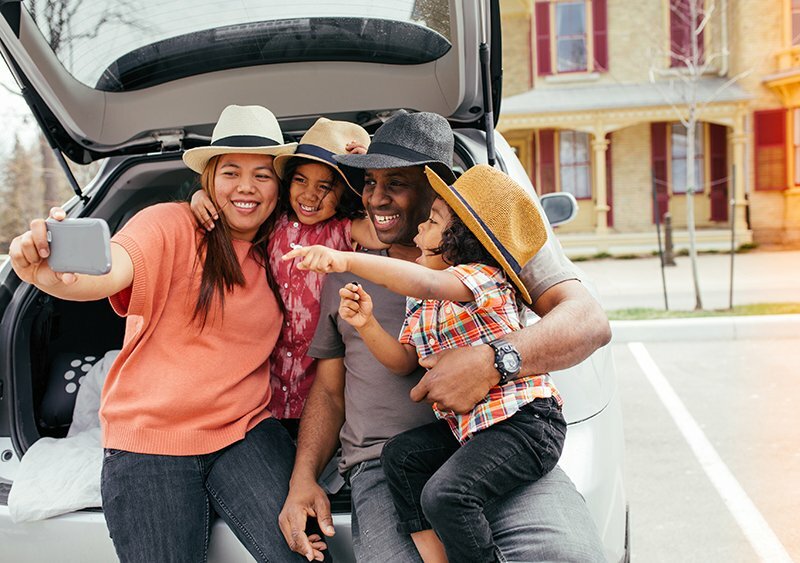 School’s out for summer, work is hitting a lull in honor of vacation season, and it’s a great time to soak up some sunshine with your loved ones on this year’s family trip! Before you check out of everyday routine and check into your tropical paradise, foreign excursion, or backyard adventure, consider these easy steps towards maintaining top oral wellness for your teeth and gums this season! Everyone likes to indulge in sugars and sweets- especially on vacation!- but it’s important to remember that you have sensitive teeth that can be subject to decay if they’re not routinely cleaned and cared for. Try to pack healthy snacks when you’re prepping for you vacation so that you have something nutritious to munch on while you’re out on an excursion or lounging on the beach! Limit the time you spend exploring the dessert bar, and remember that it’s best for anyone to snack on sweets around the same time as eating the rest of a meal, rather than waiting until hours later, in order to minimize acid production in the mouth! Your whole family is probably going to be exhausted at the end of your long, fun days on the go, so make sure you remember to brush and floss before you crash into bed each night! Being away from home can make slipping out of routine almost more natural than keeping it, but it’s important to remember that plaque and decay never go on vacation, so neither can your healthy habits! Consider using teeth-brushing time as a way for your whole family to debrief about the day passed and to make a plan for the day to come! Visit Dr. Julia Lee Before You Go! Have you ever heard that the best defense is a good offense? That holds true for dental care too! By taking measures like visiting our Walnut Creek office before leaving for vacation this summer, you can ensure that your mouth is in its healthiest state well before your smile is ever put in jeopardy. If you have any underlying dental issues, Dr. Lee can ensure they are resolved well before vacation time, so that you can enjoy your getaway from start to finish! Call 925-930-8488 to schedule a dental appointment with Dr. Julia Lee before your next vacation!